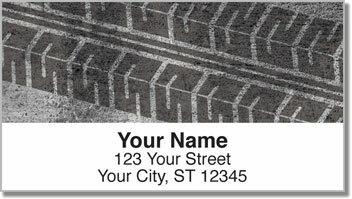 Here's a rugged return address label design that is ideal for those of us who are always on the go! Four unique tire track patterns pay tribute to the place where the rubber meets the road. Whether you're riding a mountain bike or driving your Jeep through rugged terrain, having trusty tires is essential because they make it all so much easier. 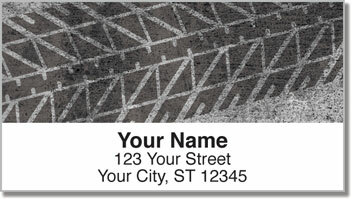 Tire Tread Address Labels from CheckAdvantage will also make your life a little easier. Instead of wasting time writing out envelopes by hand, a convenient self-adhesive backing on this product lets you simply peel and stick your name and address on every envelope you mail. 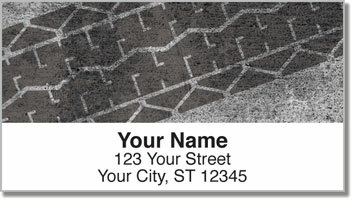 Get your own Tire Tread Address Labels today! 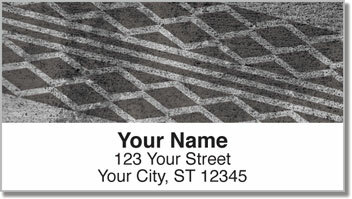 This unique selection can also be ordered as matching personal checks.